Many people wonder, “Can you copy a broken key”? Keys break all of the time, and when that happens, you don’t want to have to throw out your lock along with your small piece of fractured metal. This question has an answer, but it is not the full answer. There are many issues that can arise when you are looking to copy a broken key, so there are more questions we need to address. Here are some questions you may be looking to answer to help you find out if you can make a copy of a broken key. Can a broken key be copied? Yes, it is almost always possible to copy a broken key. There are some exceptions to the rule, but more often than not, the pieces of the key can be used to gather all the information necessary to make a replacement for a broken key. The process to copy a broken key will vary depending on the state of the broken key. The most important thing to do is know what you are doing. Going into the lock and key section of any old hardware store and asking a random employee, “can you copy a broken key?”, is a risk. Without experienced assistance, the key can be damaged in a way that requires even more of an effort to copy. How much does it cost to copy a broken key? The price of copying a broken key depends on several factors and can vary quite a bit. The largest consideration is the cost of the replacement key blank. You can copy a broken key, but you need a new key. And the key blank costs can vary if the lock uses a patented key profile or if the key in question is a broken car key. In the case of broken car keys, the costs can compound with transponder chip programming. To make a copy of a broken car key, there are many aspects of the key that need to be copied and other services may also be desired. Besides the cost of the replacement key blank and the specific factors that go into the cost to duplicate car keys, the necessary labor may vary. In the simplest cases, copying a broken key will be no more expensive than simply copying a key. However, if the key has an unusual break or missing pieces, there may be the need for additional work. As labor is the main consideration for locksmith costs, the price can be quite an inconsistent variable. Should I get the broken key out of the lock before I try to copy a broken key? For the simplest method used to copy a broken key, it is important to have every piece of the key, so that it can be reconstructed. Other times, the key can break in a way that the only important part of the key (the grooved blade) is broken off in the lock. There are some options to copy broken keys that do not require access to the key pieces, but they are more costly and complex. It is better to always get a broken key out of the lock before trying to copy a broken key, if for no other reason than to be able to eventually use the lock. A locksmith can assist you with this whether you are looking to extract a car key or remove a broken house key. Once the keyway is clear, you will be able to open the lock with a spare or with the new key when the broken remainder is copied. It is best to take care of this work first. Can you copy a broken key before the keyway is clear? Yes. But it is best to take care of this as soon as possible so that the process runs smoothly. Does the type of key matter when you want to copy a broken key? The biggest consideration when you make a copy of a broken key is the type of key. Access to various key blanks can be restricted. Depending on the type of key you are looking to replace, you may need a locksmith, as hardware stores will often not have the more exotic key blanks. In terms of the difficulty of copying a broken key, the key type can actually make copying easier. The most likely types of keys to give you trouble when you are looking for someone who can make a copy of a broken key are keys for luxury cars and house keys with patented keyways. These keys may be restricted to certified licensed vendors. But often these keys (especially patented keys) will have been issued with key code cards that will make duplicating a broken key much quicker. Can a broken car key be copied? Yes. 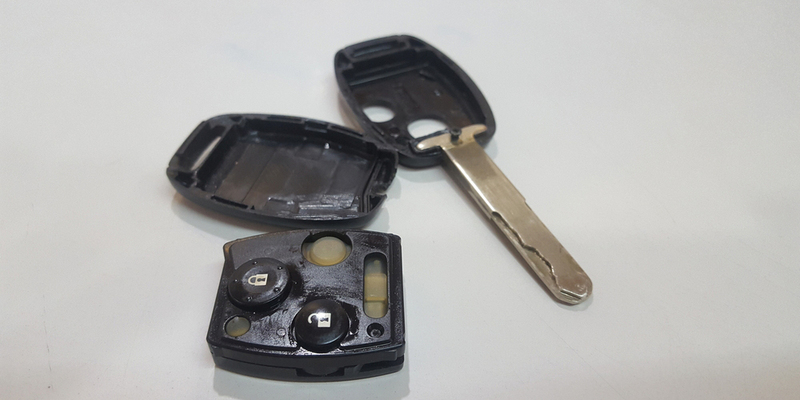 Broken car keys can be copied no matter how complicated they appear. The ease of making a copy of a broken key will depend on how it broke, but due to the record keeping process for modern cars, it is likely that your key code will be associated with the VIN of your automobile. To replace a broken car key, you can either use the broken pieces or the recorded key code likely to be associated with the vehicle. This process can be complicated if you have replaced your car door locks or if the car is older. Can you make a copy of a broken house key? 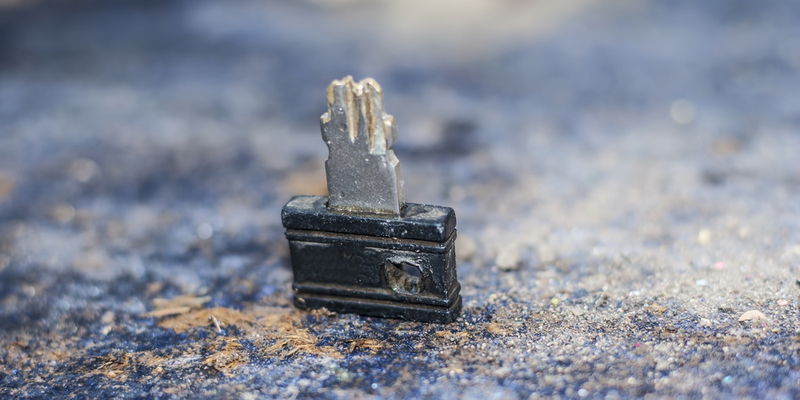 Broken house keys are likely the easiest to replace. The common house key blanks are relatively cheap, and even if the key is broken in a way that prevents the pieces from lining up on a key cutter, a locksmith will likely still be able to copy it. Standard keys like Kwikset and Schlage can have their key code determined by either site or standard key decoders. A key gauge is most often used to decode keys to determine the bitting. Patented keys from the most trusted of the available lock brands will almost undoubtedly need a locksmith to copy. Even if you can get a blank yourself, you will likely need their specially made machinery to cut the key. Yes, you can copy a broken key, but you need the right professional for the job. Do you need both halves to copy a broken key? You do not necessarily need to have both parts in order to copy a broken key. However, you will need something that can be used to gather information from. The most important part of the broken key to have is the full grooved blade. If this is the piece you have, and it has been snapped at the shoulder of the key, you might have the only part you necessary to have a broken key be copied. If the full blade is not in your possession, you can still copy a broken key if you have the key code recorded. Other ways to copy a broken key include copying a spare key or decoding the lock that the broken key is meant to pair with. Depending on your position on technicalities, this may not be the answer you are looking for to the question, “Can you copy a broken key”. Though it still is an answer in the affirmative. Even if your key is broken, you can get a copy, though you may not be copying a broken key in the strictest sense. Can you copy a broken key even if it is patented? Yes, you can copy a broken key regardless of whether it is a patented key. You will be limited on where you can have this done, just because not every key maker will have access to the needed key blank. The safest bet is always a locksmith, as they will have the keys and equipment to cut any type of new keys. Patented keys can vary in complexity, and may have measures to prevent decoding. However, if you have your code card that you received initially with the lock, a key can be cut from code. But if you do not have this documentation, it is still possible to copy a broken key, though you may need a locksmith with more developed skills. But the simple answer to the question, “Can you copy a broken key, even if it is patented,” is yes. What is the process to find out if you can cut a broken key? There are very simple steps that you can take to find out if your broken key can be copied. The first is to check to see how the key has broken. If it is a clean break at the shoulder of the key, and none of the bitting or groves have been interrupted, a hardware store should be able to make you another copy of your broken key. Any complex breaks may require the insight of a locksmith for decoding. It is also important to note the lock manufacturer so that you have some idea about the key’s complexity. The more complex the key is, the greater the chance there will be restrictions on how you can go about copying the broken key. The simplest process for finding out if you can you copy a broken key is to choose the right locksmith. Can you copy a broken key by deciphering the code? Finding out a key’s code requires tools and advanced locksmithing knowledge, but it can absolutely be done. For copying a broken key by code you will either need a locksmith that has so much experience to visually identify the code (which should not be expected) or has decoding tools. Either method can be used as long the technician in question has all of the characteristics of a great locksmith. Can a broken key be copied when it has a transponder chip? One of the biggest considerations for broken keys with transponder chips is what part of the key is broken. These types of keys are used for cars and are rather complicated compared to standard house keys. If the blade of the key is broken vs. the transponder chip is broken. If the transponder chip is broken, there will be no way to copy that broken key. You can program a new key, but you will either need a functioning transponder signal to copy a new key using a car’s onboard diagnostics port. Other issues with copying broken keys with transponder chips have to do with needing functional keys to program new keys. Most cars require a different process for transponder key programming, so this process will need to be handled on a case by case basis. The takeaway for, can a broken key be copied when it has a transponder chip, is that you can get a working key even if the transponder key is broken. Is it possible to copy a broken key that is a fob? New smart keys use digital signals instead of key blades in order to open locks. Once one of these keys breaks, copying them is not as simple as going to your local hardware store. There is often a need for a spare key when you are looking to replace one of these devices. You may need at least one working key in order to make a copy. It is possible to use a locksmith to replace fobs, but it is likely to be a different process than copying the broken. The most important part of copying a broken key is finding the right professional. If you have more questions, feel free to reach out a local locksmith. When you use a mobile locksmith service, the technicians are able to assess your situation in person by coming to your location. When all’s said and done, all that really matters when you copy a broken key is that the new key works in the lock. Depending on your particular predicament, this can take a multitude of steps. The number of steps can vary, but the results never should.